April 1941. 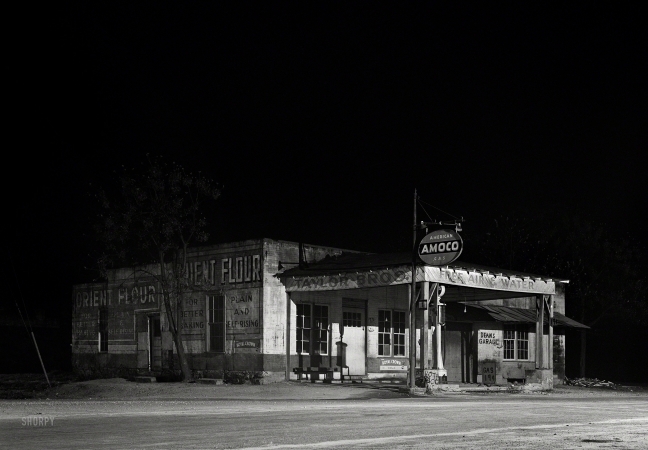 "Gas station in Franklin, nine o'clock in the evening. Heard County, Georgia."